You can read books about wine, and flavor profiles of different wines. A simple Pinterest search will bring you an info graphic that tells you that the flavor profile of a particular Cabernet has red currant notes with some tobacco on the back, along with a leathery mouthfeel. I’m here to tell you that the light will not go on until one day you experience that leathery mouthfeel. The bottom line: it doesn’t take a lot of work. Just drink. 2. Listen to the guy at the store. This tip will usually work if you’re buying your wine at a reputable place. In general, most serious wine drinkers will love to tell you about their favorites, recent finds, and what they would drink with certain meals. If you have a general idea of what you’re looking for (i.e. a wine to go with some steaks I’m grilling, a good wine to take on a picnic) they will generally steer you in the right direction. Example: one summer I walked into my local spot looking for a Sauvignon Blanc from New Zealand (if you’re looking for a refreshing summer wine, this is a great choice). My spot had 6 of them; so I asked the guy which one he would recommend. Without hesitation, he recommended Kim Crawford. I told him if it was terrible, I would be back to give him a piece of my mind. He laughed & told me I wouldn’t be. He was right. It was excellent & Kim still holds a spot in my summer wine rotation. Try different wines with different foods. It’s fun, and every once in awhile you will have a ‘there’s a party in my mouth’ moment. And it will be glorious. Many wineries and higher-end shops will offer hands-on events where they pair their wines with different foods. I once hosted one with aphrodisiacs that was outside the box, but a fun way to spend an evening. 4. Don’t follow the rules. Are there “rules” for wine? Sure. But much like ‘don’t wear white pants after Labor Day’ you don’t have to follow them. Drink what you like. If you only like sweet white wine, then drink it with your steak if that’s what makes you happy. If you want to put a couple of ice cubes in your Chardonnay, ignore the side-eye and do it. Don’t like room temperature red wine? Chill that puppy in the fridge for a bit. For more wine, food, and snark follow my Pinterest feed! When I was envisioning these pairings I attempted to match the wine with the characters, setting, and feel of the film. This proved more difficult than I had originally anticipated. 1. Chick Flicks like Bridget Jones’ Diary: Our slightly-neurotic-but-lovable heroine is handling her dramatic life by filling her diary and puffing on cigarettes. What’s she sipping? An oaked Chardonnay, natch. Hopefully it will also pair well with that horrid blue twine soup! 2. 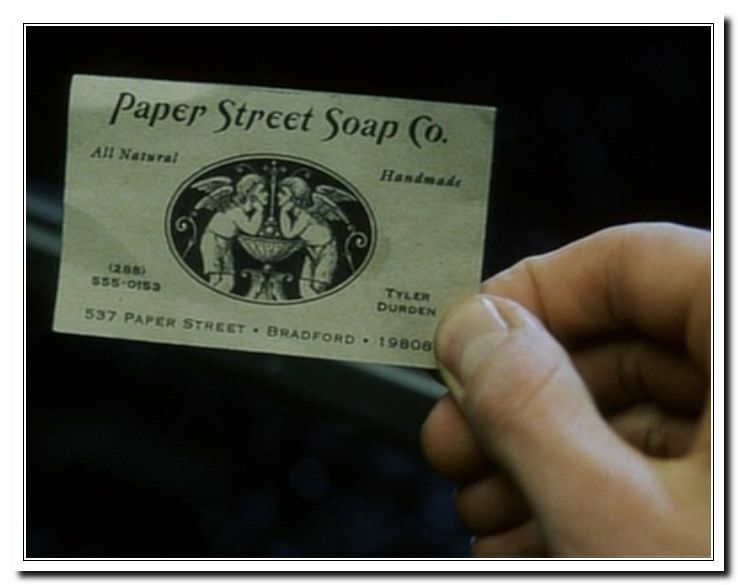 Gritty Dramas like Fight Club: This is an easy one. There’s nothing I can envision more here than a dirty, old-world, Cabernet Franc. Wine so earthy, so smoky, so dirty you’ll definitely need a bar of soap from The Paper Street Soap Company when you’re done. 4. Dude Flicks like Scarface: First of all, what do you call a chick-flick for dudes? And what constitutes a dude flick? Car chases? Stuff blowing up? I decided to go classic gangster on this one. What dude doesn’t like Scarface? The pairing on this one is a little labored, but I think good. The pairing here totally had to be a red wine. Tony is Cuban. What wine would pair well with the salty pork and spicy mustard in a Cuban sandwich? I’d go with the bright, berry notes in a Tempranillo. La Granja, from Spain is one of my favorites. I got it at Trader Joe’s. 5. 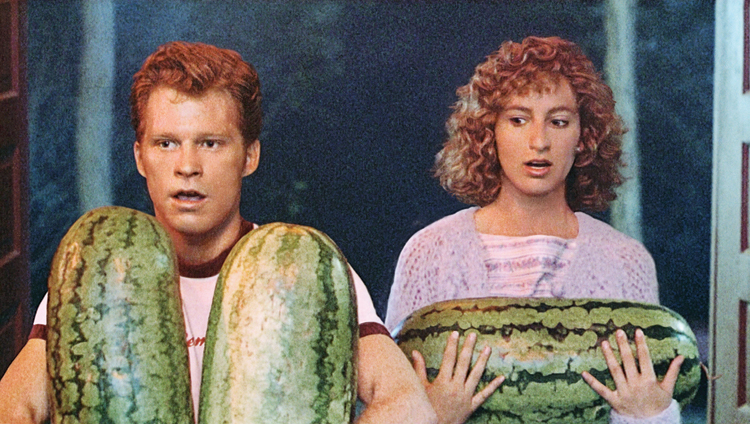 Classic Movies like Dirty Dancing: This movie, suggested by my Bestie, was a stumper. My first inclination was to pair it with a wine that might be served at Kellerman’s; certainly there are plenty to choose from in the Hudson Valley. Next, I thought perhaps something 1960’s inspired? That brought to mind more cocktails than wine. Finally, I settled upon a wine that pairs with watermelon. Watermelon tastes like summer; and after all, it was Baby carrying the watermelon that started it all. So, sip on a nice cool, summery, Rosé while you watch those unforgettable dance moves. Heck, have some watermelon too! 6. Romances like When Harry Met Sally: I guess this is sort of a Rom-Com, but it’s my favorite. Don’t judge. It takes a long, long time for Meg Ryan and Billy Crystal to get together, but when they do you want to celebrate! And it’s New Year’s Eve! Naturally, you’ll want to sip on some Champagne. Want a snack? How about some popcorn with truffle butter? But put the truffle butter on the side. 1. Family Game Night: I think most parents will agree, mom & dad would love a glass of wine during game night with the kids. At my house, it’s Jenga or Clue, or maybe a cutthroat game of UNO (No man is safe from the infamous DRAW 4). Let’s pair that with a nice fruity Chardonnay and munch something savory with a little kick, like jalapeño poppers! 2. Grown-up Game Night: Get a sitter and play something a little more mature like Cards Against Humanity. Just a tip, if you have never played this game and don’t know what something on the card means, DO NOT GOOGLE IT. Just trust me on this. For all this adult fun we’ll need to drink something with a little more edge. Let’s go with Port. Port is typically a sweet red wine that is fortified. Usually with brandy. While your average wine is 11-15% alcohol, Port packs an 18-20% punch. 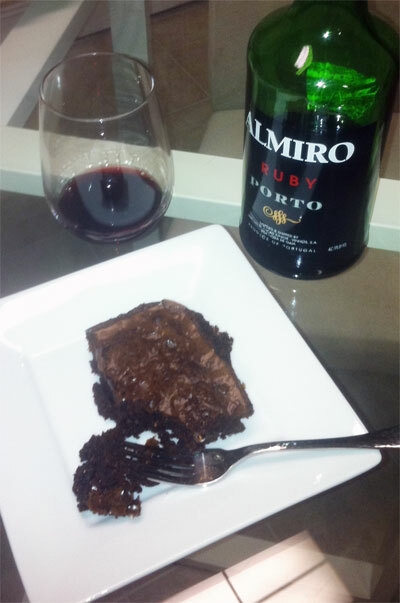 Some brownies are always a nice compliment to Port; or a nice outside-the-box pairing is fresh mozzarella and figs. 3. Geeky Game Night: I’m pretty sure that no one likes a good nerd-fest more than I do. We recently discovered Munchkin— it’s a super-fun role play type game. Like old school D&D, but lighter and much faster to play. 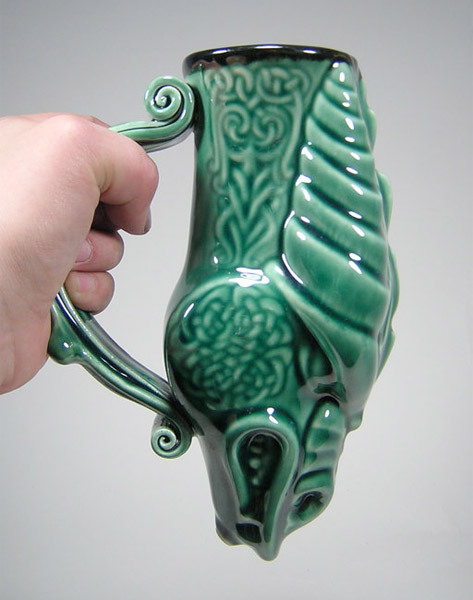 What pairs better with nerdy goodness than a nice flagon of Mead? Mead is actually wine made from fermented honey. You may remember it from Beowulf or Harry Potter (But don’t drink the mead in HP, it’s poisoned.) If you are so inclined, go ahead and pair that with a nice roasted turkey leg; but I like it with cheese, bread, cured meats, and olives. 4. Game Night for Smarties: I love word games! 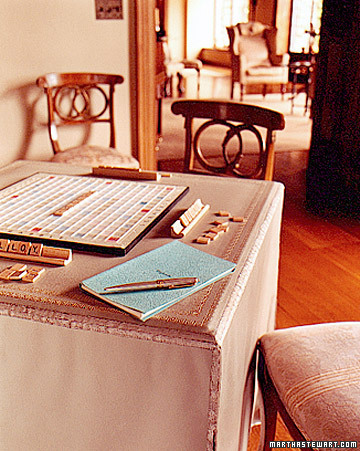 Fun fact: Scrabble is Aunt Martha’s favorite. But I like Boggle more (less looking up words in the dictionary to see if they’re legit). For some reason I feel compelled to give this one a more “sophisticated” pairing. I’m leaning towards a nice full-bodied dry red. A Shiraz or Malbec. I’m picturing the players looking at the board thoughtfully while sipping their wine. And just so we don’t get too full of ourselves on this one, let’s pair that with some Oatmeal Chocolate Chip Cookies. 5. 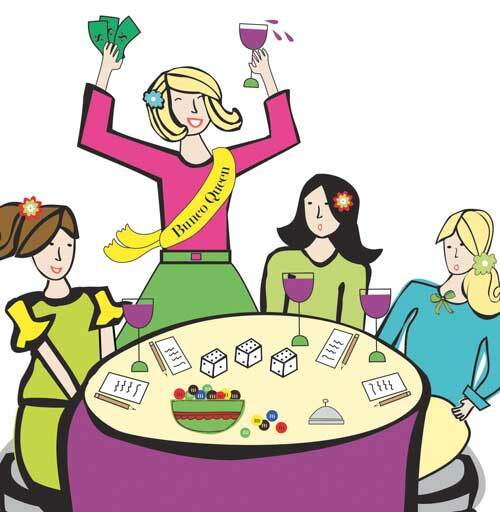 Girls Game Night: Confession: I have never played Bunco. I know tons of people who play it and have a great time, but I have no idea how to play. But for some reason when I hear Girl’s Game Night, that’s the first thing that pops into my head. And when you have a lot of girls together, what is better than pink wine? I know, that’s a big fat stereotype; but Rosé is making a comeback in a big way. And these are not your mother (or grandmother’s) Rosé. These are drier wines with more complicated flavors, subtle notes of berry and a floral nose. Go ahead and have a potluck; Rosé is a versatile wine– pair it with everything from cheeses and dips to fruit platters and cold cuts! This weekend I deep cleaned all three of my grills. The weather is getting warmer, school is nearly over here in the Midwest and the time has come for cookouts. Grilling. BBQ. Whatever you call it in your neck of the woods, it usually involves meat cooked outdoors over a fire of some kind; and a cooler filled with beer. What’s a wino to do? I’m glad you asked! Bratwurst and Potato Salad with two options: As my hometown hero Billy Joel would say, “a bottle of red, a bottle of white”. I actually have TWO suggested pairings with this plate. The first is a Blaufränkisch also known by the “stinky” name Lemberger. This is a dry, spicy fruit-forward red wine originally from Bavaria and Austria. In the states, you can also find it in Washington. The spice notes match up with the lovely spice in the brats and contrast with the creamy potato salad. The other perhaps more crowd-friendly pairing is the German classic, a Riesling. With the heat of the brats, I would lean towards a sweeter spätlese Riesling to juxtapose the spiciness. The apple notes present in many Rieslings would definitely compliment the potato salad as well. Prost! Hamburger and Baked Beans: This is very nearly a “no brainer” pairing until you throw in the wild card: baked beans. With traditional tomato-based baked beans you can’t miss with a nice Zinfandel from Cali. The berry notes and strong tannins stand up nicely to juicy beef and tomatoes. If your baked beans are little sweet, and I usually like to put some honey or maple syrup in mine, a really good bet would be an earthier Pinot Noir or a Missouri Chambourcin. If you’re having the Chambourcin with that burger, make sure to top it with some swiss cheese and sautéed mushrooms! BBQ Chicken and Cole Slaw:This is a match made in wine pairing heaven. With this plate I compliment the smokiness of the chicken with the oaky goodness of a Chardonnay. The peachy notes in a Chardonnay, or it’s midwestern cousin the hybrid Chardonnel are delicious alongside the creamy, tangy coleslaw. Grilled Steak and Cucumber Salad:Here, I’m thinking of a wonderful marinated skirt steak that’s rocking some Latin-inspired flavors like this one. Sharing the plate with the steak is a refreshing cucumber salad with cherry tomatoes and perhaps some fresh basil. A wonderful match for this plate is a dry, lighter-bodied, chill-able red such as a Tempranillo. 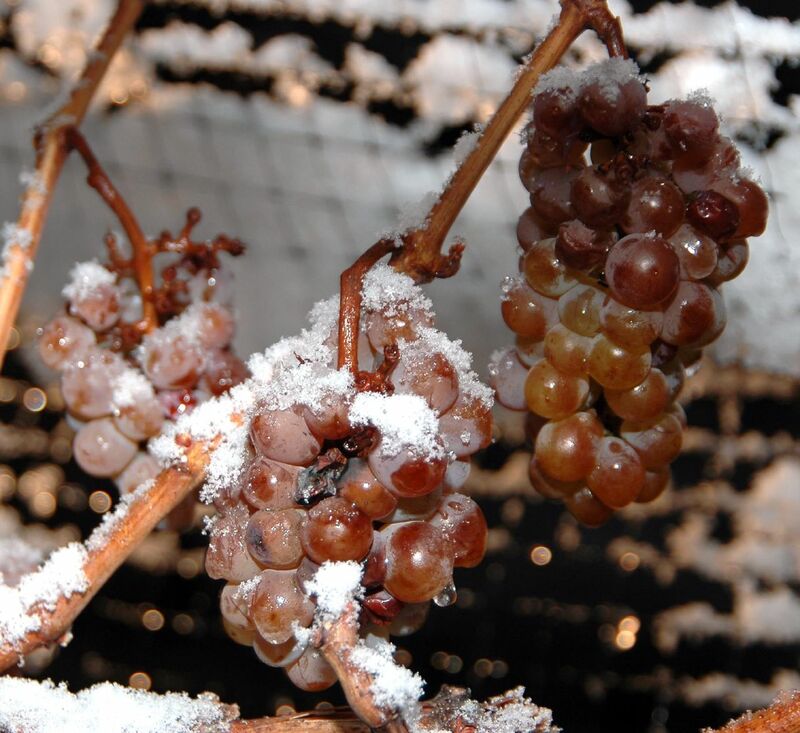 Many lighter bodied reds can be slightly chilled which is a good option during the summer months. ¡Salud! No cookout is complete without dessert and what dessert is better for outdoor summer fun than ambrosia salad. A delicious fruit salad with citrus fruit and marshmallows would be outstanding paired with a sweet sparkler like Spanish Cava or the insanely-popular-but-still-enjoyable Moscato d’Asti.